The Lipton has been in hearts of Malaysians for almost 100 years, it will always be know as the brand that makes tea. Even my family is a loyalist of Lipton tea. Here is a short description IF you really really don’t know the brand. Lipton is the world’s No. 1 Tea brand with a commanding presence in the global beverages market with tea-based drinks including leaf tea, infusions, ready-to-drink tea and other healthy based alternatives to soft drinks. I was invited by fellow blogger Tony from http://www.colourlessopinions.com/ to attend the soft launch, I was always a fan of the Lipton Ice Lemon Tea so I was eager to see what they were up to. They were launching a new campaign call “Proud to be Malaysian. Jom Teh Tariklah” , a campaign that used their "Lipton Milk Tea a.k.a. teh tarik" as the core that pulls us people together. "Drawing inspiration from the unique traits and mannerisms ingrained in every Malaysian, Lipton, the world’s No.1 tea brand, launched a one-of-a-kind “Proud to be Malaysian. 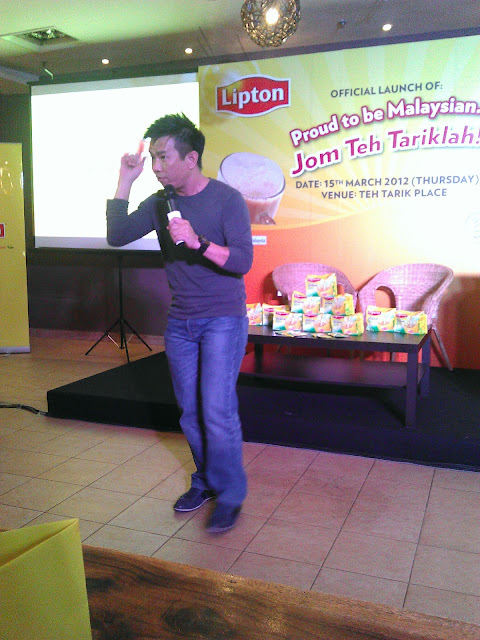 JomTehTariklah” campaign today, in conjunction with the introduction of the new instant 3-in-1 Lipton TehTarik. The campaign amplifies typical but funny Malaysian behaviours, anchored through a series of webisodes in which Lipton TehTarik is positioned as the drink of choice during social gatherings for Malaysians anytime, anywhere –at home or at the office. 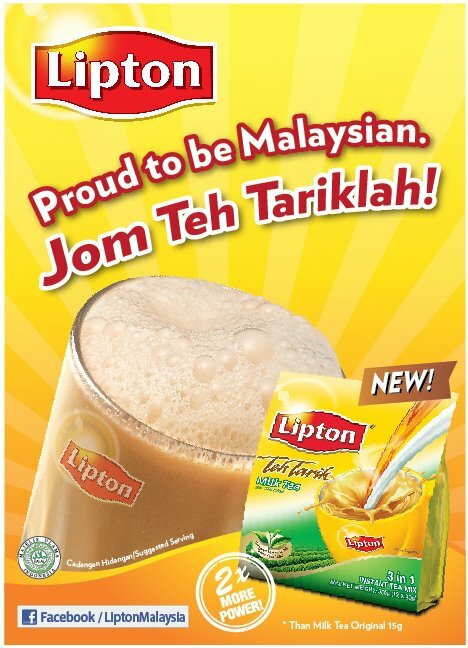 Essentially, the campaign’s mission is to empower Malaysians to embrace their distinctive Malaysian identity by enjoying a cup of Lipton TehTarik." 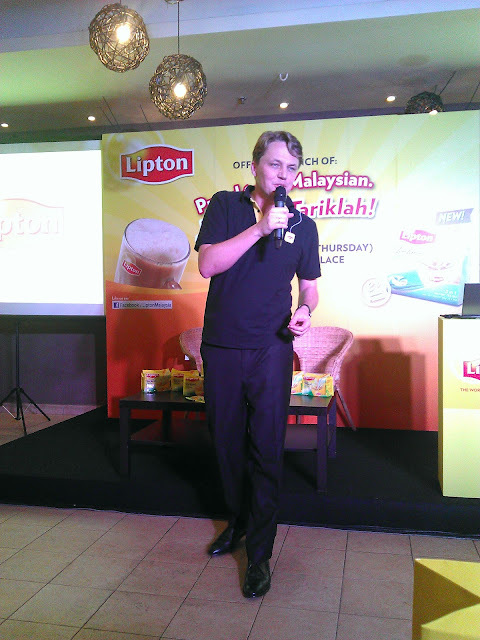 It was clear that Lipton is up to reaching the hearts of all the people of Malaysia and this time with the intention to stay for good. The event was simple, yet very enjoyable, they got a really great Emcee, one that had the ability to get you hyped in just the first minute of the event. 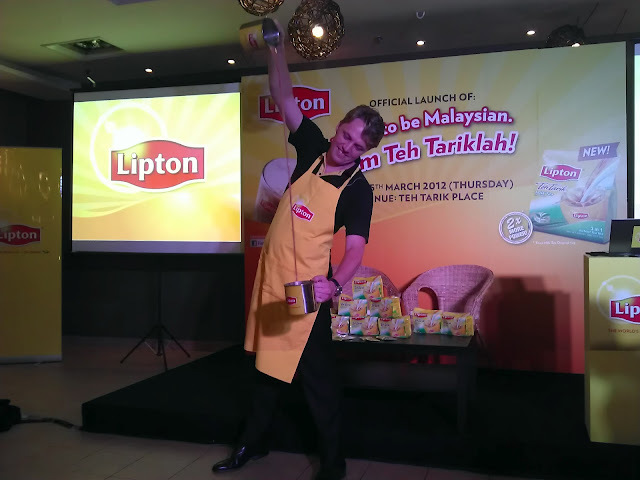 Here we see him demonstrating how to make a Teh Tarik, pretty good job for that matter =). Fellow blogger Jess of http://www.jessying.com/ won herself a spa treatment as well. Congratz! We were then treated to dinner of course. 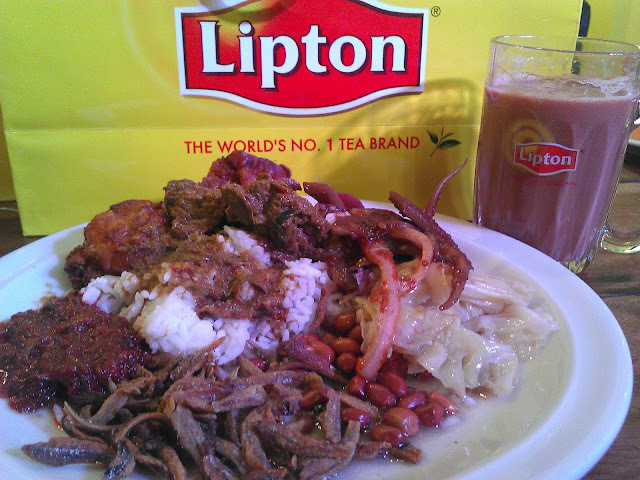 Nasi Lemak + Lipton Teh tarik, it's awesome! Cause, once a Malaysian, you are always a Malaysian at heart. 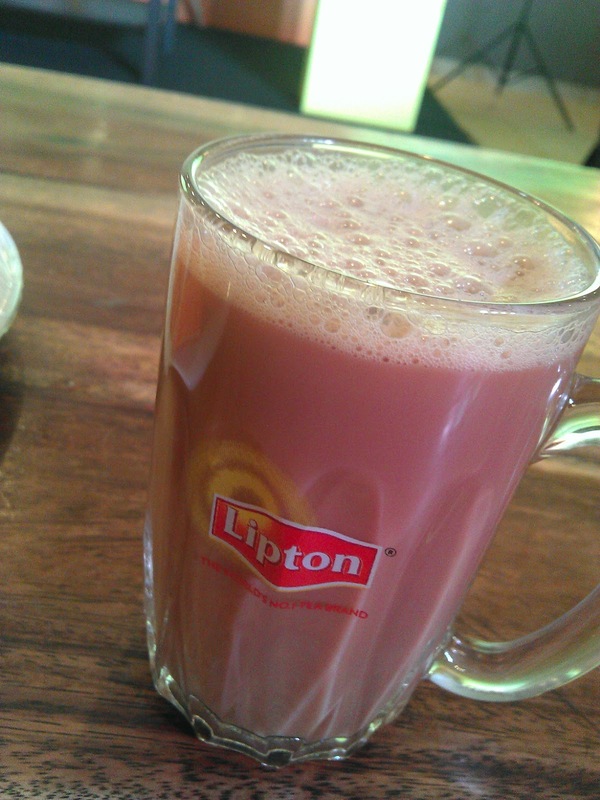 Chill out and have a sip of of Lipton Teh Tarik. Oh? whats that tiny teacup in my hand? 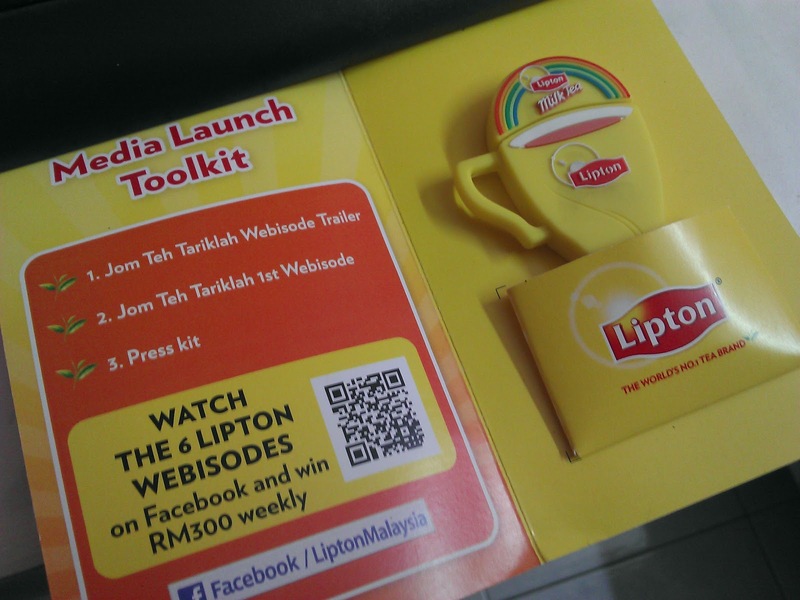 A Lipton cup pendrive! 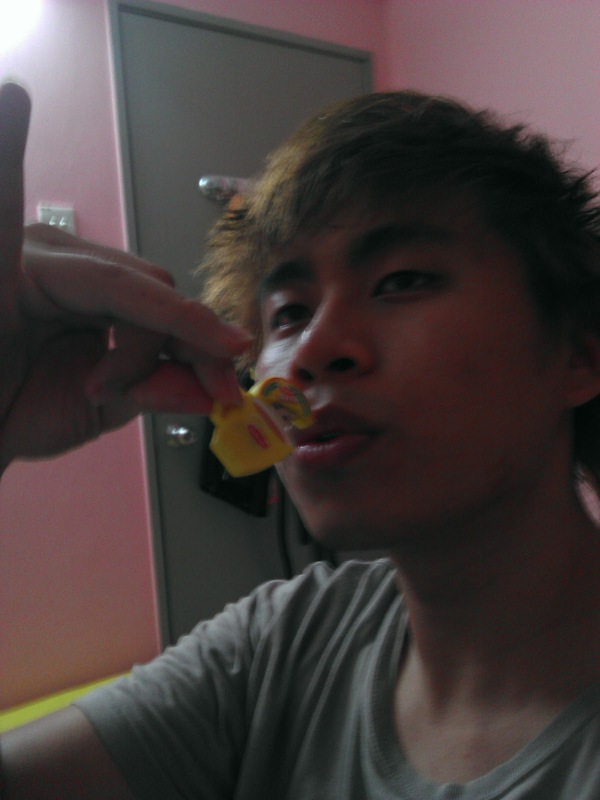 thanks Lipton, its really cute. Grab a pack and keep it at home, you will never know when you would wan a cup of good ol Teh Tarik =). Once a malaysian, forever a true malaysian! Cheers to all malaysian! Melvin is my fav emcee! !